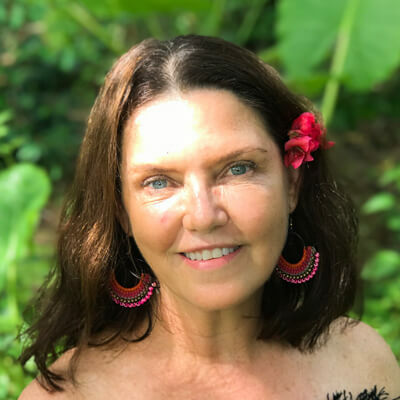 Working in healthcare and a corporate world for over 25 years Fiona left that behind and followed her passion of deepening her spiritual path through learning new skills and travelling the world to broaden her experience and knowledge in what she truly loved. Fiona is passionate about healing and transformation, supporting people on their own inward journey to live a more magical life. Supporting people in finding their way home to themselves through the breath, food and movement. Fiona is a certified yoga teacher, Breathwork facilitator and plant based chef. Fiona shares all these modalities as a way to reveal, heal and connect ourselves to more deeply participate in life. Breathwork is one modality that helps people connect more deeply to themselves and gently let go of issues, create more freedom, happiness, inspiration and harmony. We come into life with the breath and we leave this life with the breath. As the great yoga Master Krishnamacharya says “Master your breath, let the self be in bliss, contemplate on the sublime within you”.